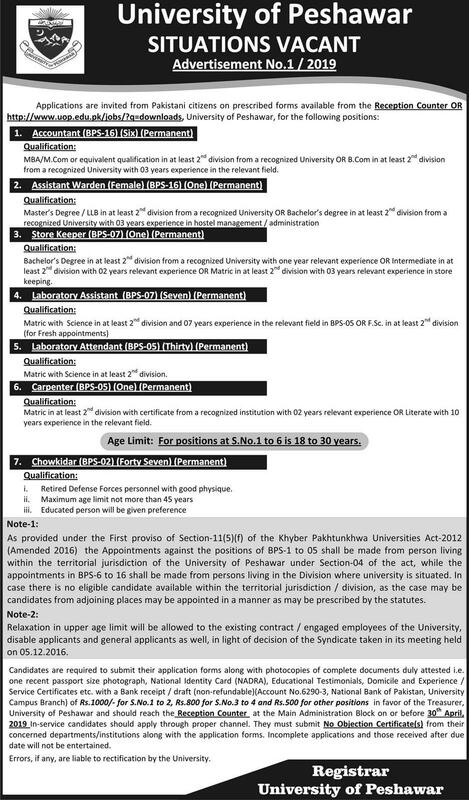 Jobs Description: University of Peshawar Jobs April 2019 can be viewed in our site. The University of Peshawar is one of the best Universities in Pakistan. The University of Peshawar recently announced an Advertisement 01/2019 for Jobs of Accountant, Assistant Warden, Store Keeper, Laboratory Assistant, Laboratory Attendant, Carpenter, and Chowkidar. The University of Peshawar has required the applications for the following jobs.